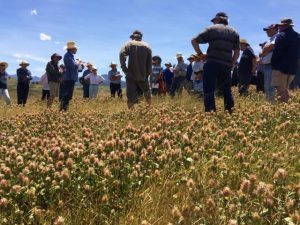 As a diverse group of over 200 members the Farmers’ Network aims to find efficient and creative ways for landholders to learn and implement sustainable farming practices. Becoming a member of the Farmers’ Network will enable you to receive our Newsletter and invitations to upcoming events. In 2015 the FSC Landcare Association was successful in securing 3 years of funding for the Farmers’ Network though the $25 million Nation Landcare Program investment that the Local Land Services is delivering to boost farm gate productivity and improve environmental health across NSW. 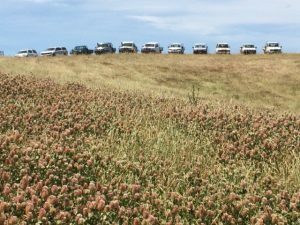 This funding enables the FSC Landcare Association to employ a part-time Farmers’ Network coordinator (Wayne Schaefer) and together with the Network members deliver field days, workshops and accredited training. An integral part of the Network’s agenda is to develop future technology and marketing opportunities. We work closely with industry experts and research bodies as well as stakeholder groups such as Local Land Services, MLA and Bega Valley Shire Council. We’re always on the lookout for new opportunities and very keen to hear ideas from our members. Our current membership is over 200 individuals. Access to training, field days and written resources. An opportunity to pool resources, share ideas and information and help solve problems as a group. The chance to connect with your local community and like-minded farmers. Regular newsletters and emails updating you on events, animal health issues, community programs and funding opportunities. 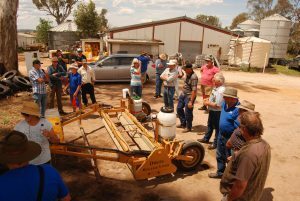 Click here to find out what EVENTS & WORKSHOPS the Farmers Network has coming up soon. Are there any specific land or grazing management issues you would like the Farmers Network to pursue? Are you registered for tax as a primary producer?